Right To Play announced today a donation of 50 brand new sets of hockey equipment, courtesy of the National Hockey League Players' Association's (NHLPA) Goals & Dreams fund. This donation aims to support children and youth involved in Right To Play's Hockey For Development initiative, a part of the PLAY (Promoting Life-Skills in Aboriginal Youth) Program. Chicago Blackhawks defenceman Steve Montador, who has been a Right To Play Athlete Ambassador since 2007, is thrilled about this opportunity to give back to communities in Canada. “After seeing the impact of Right To Play's programs in Tanzania, I'm looking forward to helping make an impact here in Canada. With incredible support from the NHLPA, I believe we can make a difference through hockey- building life-skills and increasing hope, while also providing access to necessary equipment these children and youth might not otherwise receive.” said Montador, NHLPA member and Chicago Blackhawks defenceman. The PLAY Program aims to limit the challenges and build on the strengths of Aboriginal youth and their communities, while supporting the value of culture and identity. Working in partnership with First Nation's communities across Ontario, PLAY is comprised of training workshops, daily recreational and cultural activities and sport tournaments targeting children, youth and Elders in the community. One of the key components of the program in Wapekeka First Nation is the Hockey For Development module: a program that offers children and youth the chance to access hockey equipment, learn essential hockey skills, and gain valuable life skills. The program also includes a training program for local hockey coaches that allow them access to the Hockey Canada Certification. Right To Play is the leading international humanitarian and development organization using sport and play as tools to effect behaviour and social change. The organization works with over 15,000 trained Coaches and community leaders who implement Right To Play programs for 700,000 children and youth. Right To Play programs are designed to develop basic life skills, prevent diseases, teach conflict resolution and instill hope in children affected by war, poverty and disease in Africa, Asia, the Middle East and South America, and is supported by more than 350 elite Athlete Ambassadors from over 40 countries. Recently, Right To Play expanded its programs in Ontario to include 30 new First Nation communities. In 1999, the National Hockey League Players' Association (NHLPA) launched the NHLPA Goals & Dreams fund as a way for the players to give something back to the game they love. Over the past 11 years, more than 60,000 deserving children in 25 countries have benefited from the NHLPA Goals & Dreams donations of full sets of hockey equipment; the players' program has also assisted with upgrades and the building of hundreds of arenas world-wide. To date, NHLPA Goals & Dreams has donated more than $20-million to grassroots hockey programs around the world making it the largest program of its kind. 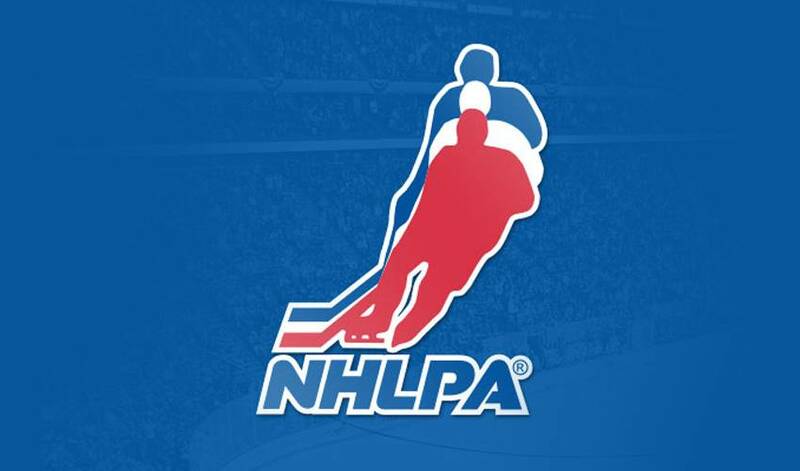 For more information on the NHLPA, please visit www.nhlpa.com.